Cartoon Greeting Card. Translation: February 23 Defender Of The Fatherland Day. Lizenzfreie Fotos, Bilder Und Stock Fotografie. Image 112132660. Standard-Bild - Cartoon greeting card. Translation: February 23 Defender of the Fatherland Day. Cartoon greeting card. 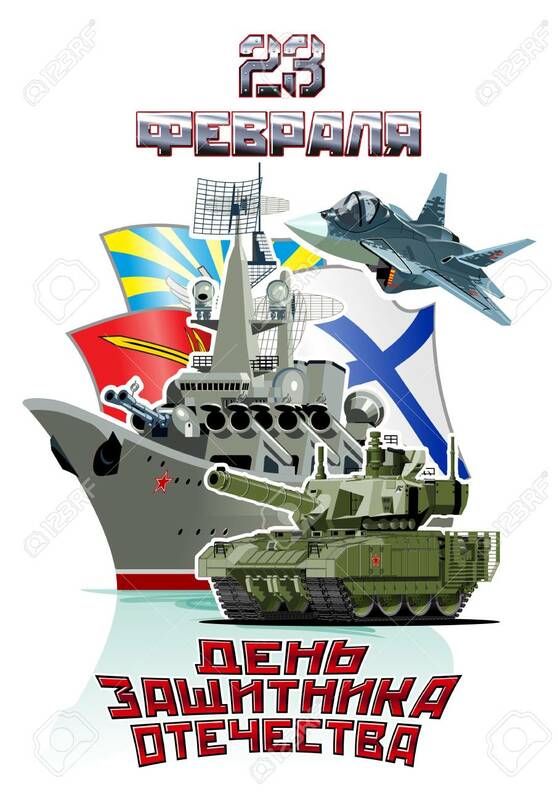 Translation: February 23 Defender of the Fatherland Day.